That is only the beginning of this epic retelling of Persephone and Hades, and the myths that changed the history and culture of Greece and Rome. This is not your average turn of the century love story. It is an adventure full of twisted myths and bloodthirsty beasts. It is a world where Pandora's box is real and Medusa has more to her than an awe-inspiring hairdo. Every story has an element of truth but has been twisted and manipulated through the sands of time. Find out how these legends could have happened. My promise to you, my dear readers, is that you do not need to be familiar with the myths to enjoy this epic retelling. Each one is explained in the author's notes for those that seek to learn. For everyone else, just enjoy the adventure! 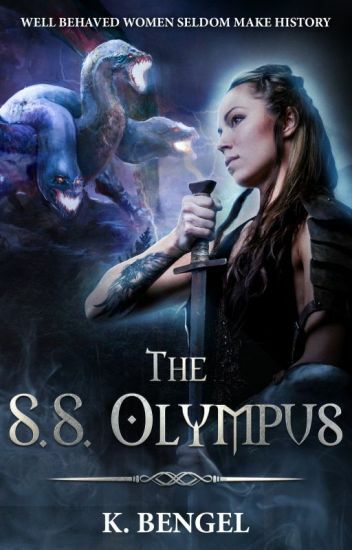 Can Cornelia protect her world from a lost crew of renegade 'gods' and the creatures that they brought with them? 1st place in science fiction for the Penguin awards. Featured on Action profile for "to Infinity & Beyond" and Myth and legend profile "Roman Mythology"
#64 highest ranking to date in science fiction. A tragedy unforeseen. A death written by destiny. Dawn and Dusk Willows’ lives are turned upside down one fateful night when their mother is murdered by a mysterious man. The peasant twins are torn apart, stranded on different corners of the world. Different kingdoms, different upbringing, different fates. She’s a mere commoner; he the future king. Her flames seek out her long lost twin, his ice crystals carving out a path for him. Her temper knows no bounds, his calm attitude perfect to play tricks on others. Dawn enlists a band of outlaws’ help to search him, while Dusk longs to avenge his mother one day. Their paths had converged long ago, yet remained intertwined in the intricate web of fate. Now they shall meet once more. Fire will clash with ice. Blizzards will blaze. And the embers of frost will fall again. A forest. A hut on chicken's feet. A fence of blood and bone. Before she was Baba Yaga, she was just a girl. Fuelled by spite and hatred for the world around her, Yaga Izeva has always had two faces. A beautiful one, the tailor's girl and a perfect wife, and the other, far darker than anyone could've ever imagined. Because things like that didn't happen in their village - until they did. With the blood of her village on her hands and nowhere to turn to, Yaga runs to the open arms of the forest, where the water runs black and the trees are haunted by ghosts of the past. Power is a pretty thing - before it consumes you. And watch out for Baba Yaga. Since the ages before time was measured, the angelic races have existed. Unseen by our eyes, they move through creation, shaping our world, sustaining our existence, and battling demonic hordes. But the war is changing; the battle lines are expanding into new frontiers and the next epoch is emerging. Centuries after the first humans were exiled from their home, their descendants have pushed eastward into a prehistoric wilderness. In a land shrouded by mist and superstition, primitive tribes struggle to establish new civilizations, unaware that their world is about to change forever. Weary from unceasing conflict, Sariel-legendary warrior of the Eternal Realm-crosses into the Temporal in search of the only one who can bring him peace. But he is not the first; others have already begun their inhabitation. As the dominance of their kingdom spreads, threatening to engulf all of humanity, Sariel finds himself standing between his own kind and the one he loves and must embrace the life he abandoned in order to secure her freedom. In this riveting prequel to the bestselling Awakened series, Jason Tesar sets in motion a sweeping fantasy epic birthed at the very foundations of mankind, when our prehistoric world collided with supernatural forces, spawning an age of mythological creatures and heroes. A LINE UNBROKEN. A TRUTH UNSPOKEN. Born into wealth and privilege as the niece of an Emperor, Starborn Lady Mhera never dreamt that tragedy would shatter her world. But darkness roils beneath the peaceful façade of the Holy City; a rebellion is brewing among the Arcborn, the dangerous, magic-blooded undercaste of Penrua, and they will stop at nothing to destroy the peace of the realm. Still wounded by the evil the Arcborn wrought against her family, Mhera is on the brink of accepting a life of safety and solitude when she is offered a chilling compromise with fate that threatens everything she has ever known. SECOND PLACE - 2018 X Factor Awards - Overall! The key to proving Siobhan's innocence lies within the highlands, a home she never thought she'd see again. Siobhan isn't sure she's ready to confront the past that's hunted her for so long, but continuing to deny the truth only puts her and her companion Wren in greater danger. Wren's patience for seeking the truth is waning while his magic grows stronger, and Siobhan worries he lost more than his fiancé to magic. As she struggles to help him learn control, she realizes more than friendship connects them. This fragile link puts Siobhan in a place she never expected, reinforcing that everything she's ever known is a lie. Ever faithful Elias has left Siobhan's side for the first time since she was born. He believes she's going to need allies in the coming battle to reclaim her birthright. Elias knows after Siobhan was framed for murdering her father, the future King of Ardorn could be the last supporter she has left. Prince Eloy, already scarred by the broken union between Draygon and Ardorn, will only lend his support if Elias returns to him what Draygon has stolen. An inferno is awakening and if they don't act fast the world will do more than burn. If you're reading this on any site but Wattpad, then congratulations, it was stolen. Please go to Wattpad and read it from the actual author, Prisim. Ethea has long been plagued by a monster named Fangril, created to force the Elements to coexist. Only the Elementals can stop it, if their unity is unbreakable; none have. Chosen as the Moon, Zelenia sets off on her quest to find her twin, the Sun, and the rest of the Elementals, then together, they can eliminate Fangril. She knows that their journey will not be an easy one: one that will test them physically and mentally. With so many dangers and heartbreak lying ahead of them, Zelenia begins to understand why the past Elementals failed. The world has been cast into a mysterious darkness. No natural light can illuminate the Dark. But small portions of the world have gradually been illuminated by an equally inexplicable light that is known as the Eternal Light. The priests of the Eternal Light are the only ones blessed with the ability to summon the light. People are allowed to live in this illuminated world as long as they worship the Eternal Light as a deity, forget the old world and obey the rigid laws of the priests. The only other choice is to be cast into shadows. For most people that is an easy choice. But eventually change began to dawn. The servants of the Eternal abuse their authority over people. Slowly the Illuminated World is losing ground to the Dark. Even the most devout areas can be consumed by the Dark. There is no longer certainty the Eternal Light is an omnipotent force. People are questioning. People are starting to challenge the priests. Three friends are caught up in this struggle. Their bond has sustained them through the overwhelming horrors and the mundane issues of such a world. But destruction is inevitable when fighting the light. Cover by the master of horror, Crimson_Graves! THE WALKING DEAD meets THE MATRIX. Ari led the uprising and took down Central Administration, but the new-found freedom brought disease and devastation upon the students outside of  the technologically advanced, simulated reality "March City". Without the protection of technology in their tiny bubble, students began to fall ill under exposure to the outside world. At Lira's suggestion, they seek help from the humans behind the creation of March City. With nobody to trust and Mina's life once again on the line, Ari has to choose: the side that may kill her, or the side she will end up killing. Book 2 of Project Lunation. NaNoWriMo2017 winner. Cover by ImogenaryThings of ImogenaryDesigns. Also available on RadishFiction, Tapas, and RoyalRoadl.com. Two assassins were set to kill a girl. No questions asked. Just kill her and claim their prize. That was their mission. Except one of them was not supposed to visit Volney, the land of the dead and the other fall in love with a girl and totally forget about his mission to kill. For an heir who had dedicated her entire life for her kingdom, fate was not kind. Her sister should have returned home after her visit to her aunt's place. Her kingdom must have been safe, both terrestrial and by sea. But does anything ever goes planned? As a general, she must now decide. Kingdom or family? Suffice to say, slavery was the safest option for a bride. Hated by the king's daughter, she wonders what she had ever done in her life to deserve her hate. With her friend of fifteen years gone to join the rebellion, and without realising what it would cost her, she makes new friends. But would they keep her alive? Or would they sell her for their life? Friendships will be tested. Foes will become allies. Hunted will become the Hunter. And lover will become the betrayer.